@ Tap Dezign we partner with organizations of all sizes to create, iOS, Android, and web applications. Tap Dezign is a boutique development company focused on quality over quantity. We prefer to work with a smaller amount of high-quality clients, allowing us to ensure projects remain at the highest caliber. Our team is built around members with years of experience in their respective fields. Depending on the project, a typical team consists of five to six members who will collaborate with your team to produce optimal results without adding bloat to your budget. Here is a collection of some of our favorite projects. Select a project to view the details. Process is everything. How can you build a building without a set of plans? Short development cycles are the new black. No big reveal at the end - you’ll see it in action from day one. Listen, collaborate, partner, repeat. You’re the one calling the shots. We’re just here to do the dirty work. Smarter, not harder. Our team is uniquely experienced and develops at a steady pace with the right amount of optimization and code review. It’s fun. We like what we do, and so will you. Drop us a line! We’re always interested in chatting about projects, ideas, or shooting the technological breeze. © Copyright Tap Dezign 2017. 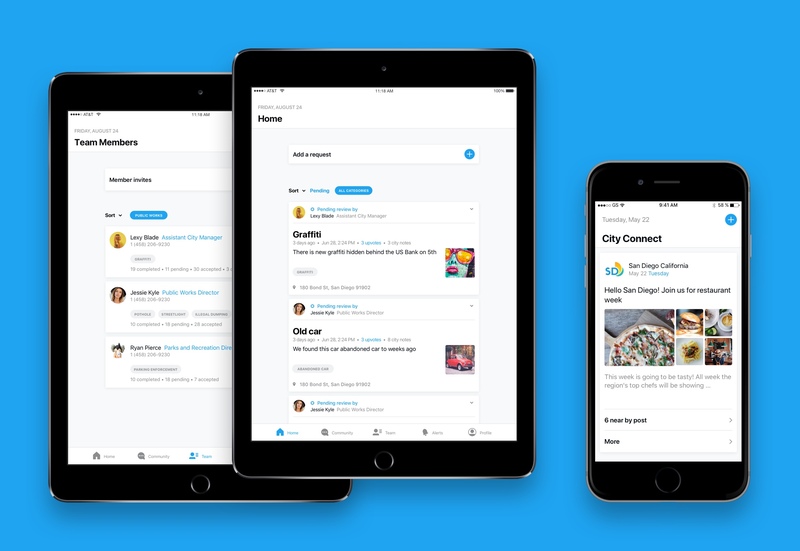 We recently began working on a mobile first system for City Canvas, a revolutionary and innovative way for residents to engage and connect with their local governments. Tap Dezign has been involved in both the design and development portions of this project. Beginning with a blank slate, the first step was to get at the core concept of this system. We partnered with VPM, an expert in the field of municipal government, to get a better understanding of the types of goals and needs of city officials. Morphing these ideas with the goals of City Canvas, we came to the conclusion that two applications should be built for this project. One front-facing, multi-platform application for residents, and a second iPad specific application that allows city officials to administrate their accounts. With the potential of millions of users on the system at one time, building the backend took focus right away. There was no room for lag time during peak usage, and finding the framework was key. In addition, we kept in mind that most users would be accessing the application while outside of their homes - handling connectivity issues seamlessly was of utmost importance. City Canvas is moving right along, on track to meet its goals. We are excited to see the lines of communication open up between cities and their residents. Virtual Project Manager is a web based application utilized by hundreds of cities and municipalities to manage their capital improvement projects. Tap Dezign began collaborating with VPM a couple years ago when they needed developers to manage the existing code set and produce updates and improvements to the system. We began by getting up to speed on the VPM system, making minor updates to start with in order to get a feel for the depth of the system. Over time we have been involved with the addition of two entirely new modules and many smaller updates and changes. 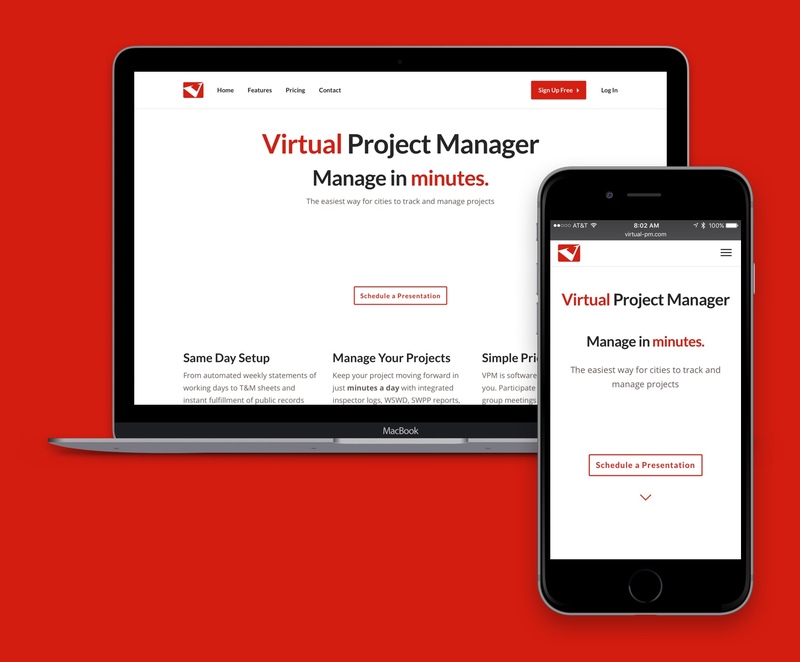 Recently we were asked to redesign VPM’s front-facing website to provide a modern and responsive look. By implementing a solid series of organizational techniques, we have been able to seamlessly create new features and modules for VPM, including a Storm Water module that meets the requirements for Federal Municipal Storm Water reporting. 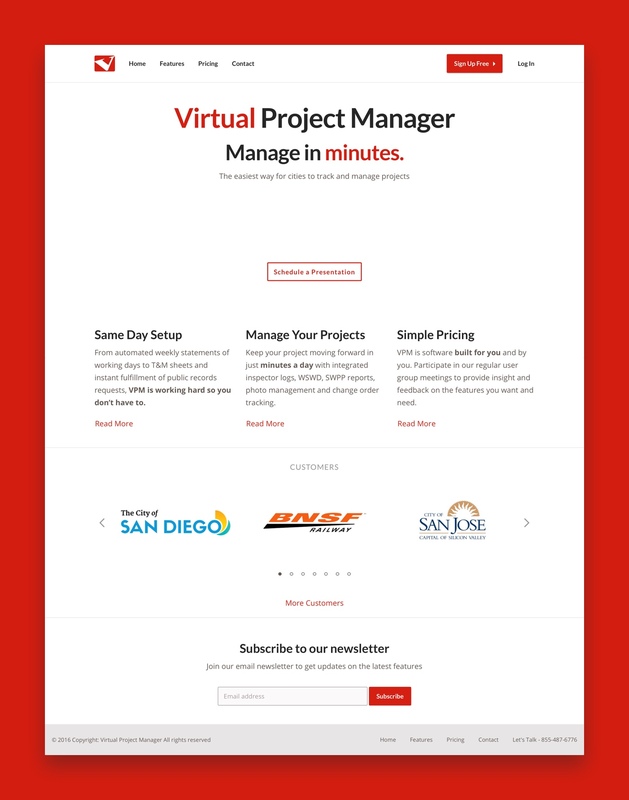 Developed as a joint collaboration between VPM and the City of San Diego, our developers met with VPM and San Diego on a weekly basis to collaborate and produce an intuitive module that will help San Diego save thousands of man-hours and millions of dollars. The Virtual Project Manager system is an ongoing project that we are involved with on a daily basis, providing system updates, improvements, and support. Working in conjunction with one of our favorite long-term clients, we set out last year on an epic journey: to produce a robust Hololens prototype application in just six weeks. It was a little like a hack-a-thon; late nights, weekends, experimenting with new ideas. It was really fun! We started out by collaborating with our client to determine what they needed the application to do at its core. Then we set out getting familiar with the Hololens and the Hololens Toolkit before moving in to full development mode. Putting on the Hololens is like stepping into another dimension. If you’ve never tried it out - it’s worth doing. 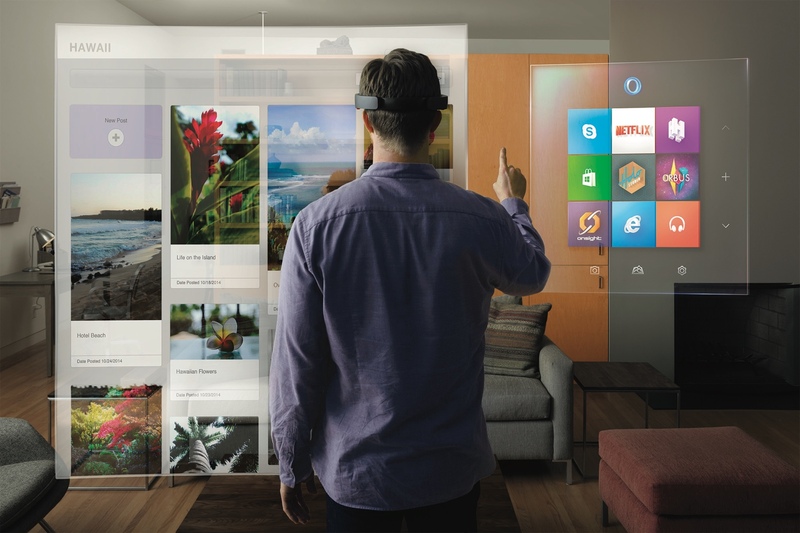 Microsoft put forward a great product with the Hololens. The Hololens prototype was a success and shipped to our client on time and on budget. We’re hopeful to run across another one soon so we can jump back in to the amazing world of 3D augmented reality. 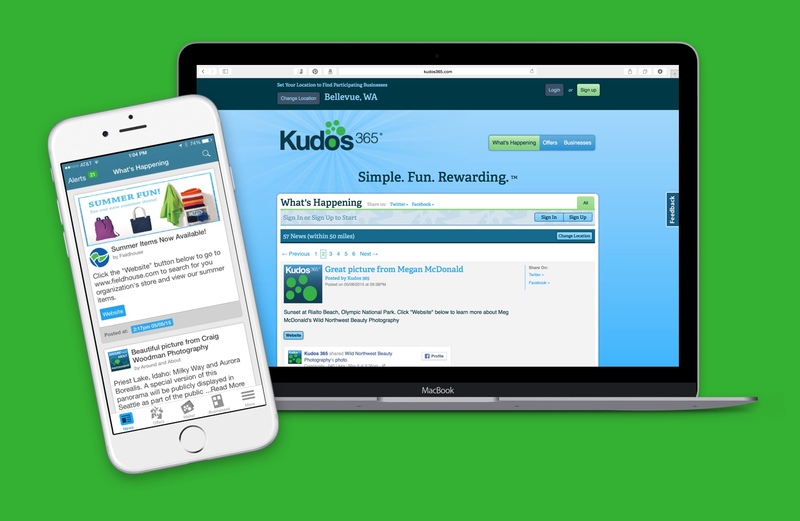 Kudos 365 is a Seattle-based website geared toward promoting businesses by using prizes and gift cards. Kudos 365 approached Tap Dezign with a need to produce an iPhone app to complement their website and help them work toward a goal of going national. Kudos 365 already had a design, web, and backend team in place and was looking for an experienced iOS team that could integrate seamlessly with the existing team. We began working with the Kudos 365 team immediately to discuss and determine the best path forward, which included a discussion on how to turn an existing website into the best native, mobile experience for the user. 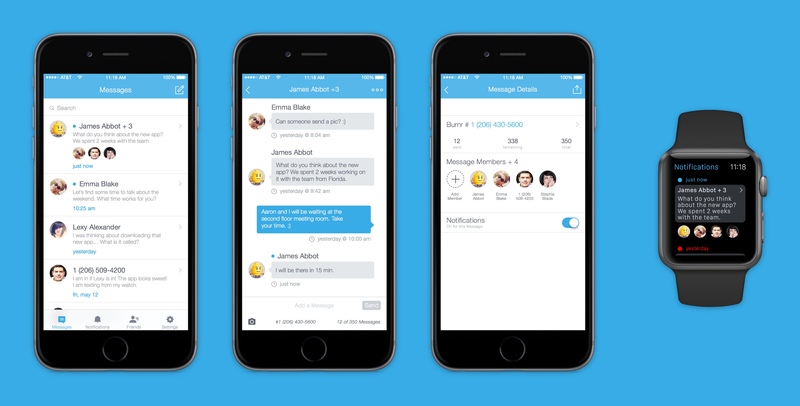 Over the course of the initial build-out of the first phase, we were able to advise the Kudos 365 design team of iOS best practices and standards, giving them the information and tools needed to produce a winning design. Our iOS developers received the design provided by the Kudos 365 design team and mapped out the appropriate development strategy to produce the application to spec, keeping performance, responsiveness, and the user experience in mind at all times. 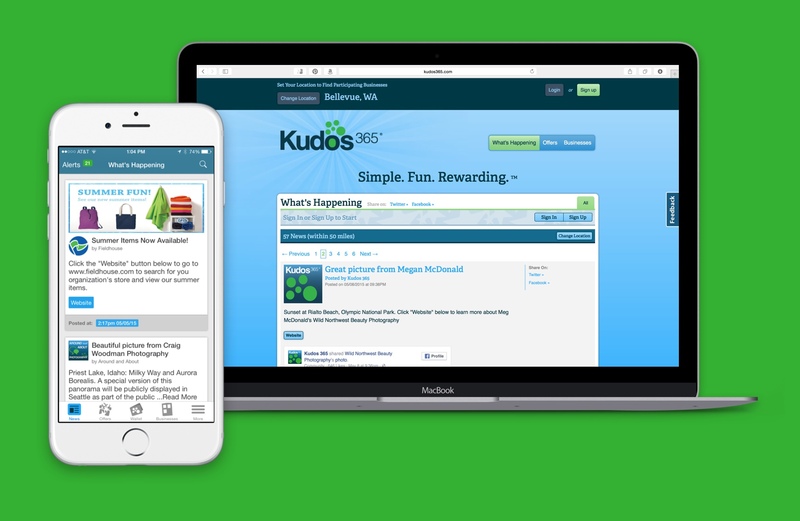 Working closely with the Kudos 365 cloud backend team, we were able to configure the app to use the existing cloud structure to download and display data, engage with users via Push Notifications, and allow users to win prizes and gift cards directly from their iPhone. The Kudos 365 iOS application was completed to spec, approved by Apple, and available for download in the App Store. Kudos 365 was excited to bring this feature to existing customers, as well as gain new customers with the new platform. With concept in mind, Denver-based Burnr came to Tap Dezign with a desire to see their idea come to life. Producing a Minimum Viable Product design was the goal, and Burnr was looking for a team to take their concept, analyze it from layout to development, and produce a design that would be developer ready and encompass a solid plan for an MVP. We began by getting to know Burnr from the minds of its creators. By listening and asking questions, we were able to understand their vision. Early on, we involved our development team in the process in order to ensure the design was adhering to the concept of their MVP and staying within budget for development. During the course of the design phase, Burnr and the Tap Dezign design and development teams were in constant communication, volleying ideas back and forth and forming a triad between Burnr, the design team, and the development team. 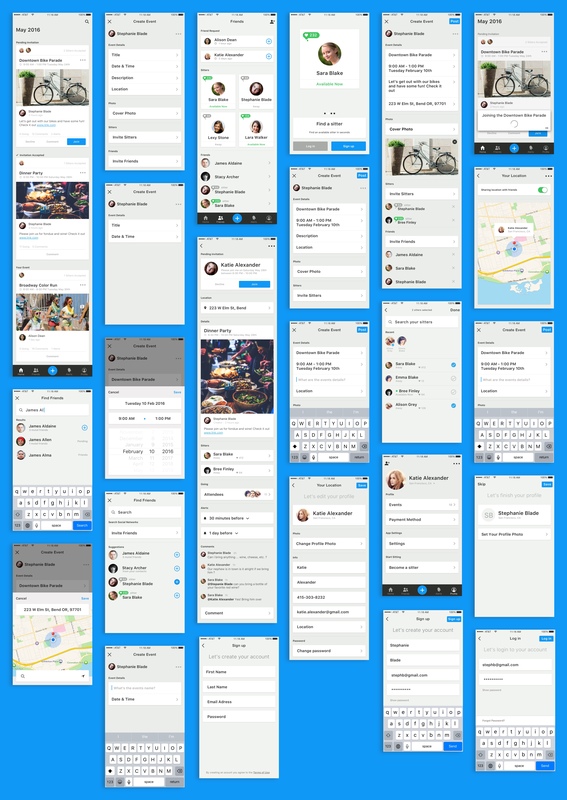 The design team put forth a series of products for Burnr: a features list, user stories, user journeys, and a developer-ready set of layouts and designs for each screen. Burnr is stunning, isn’t it? It’s clean, confident, and feature-rich without bogging down the user or blowing the development budget. Burnr was happy. Tap Dezign was happy. 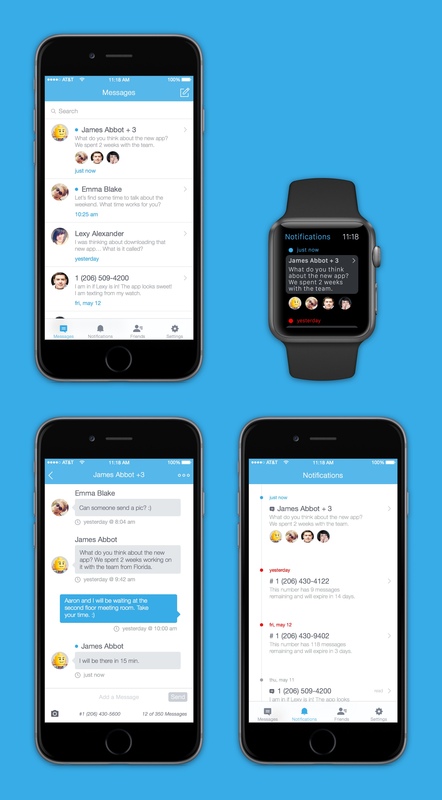 And we’re pretty positive users are going to be happy once this app hits the App Store. Seattle-based Sitter Invite approached us with a need for fresh eyes for their application that connects babysitters with parents looking for a night out. They had all kinds of concepts brewing, but needed to settle in on one specific idea for their product. We talked through their ideas, and then put forward our own thoughts. By interviewing parents and babysitters, we got at the core of what each type of user would want: for parents, it was spontaneity; for sitters, growing their client-base. Sitter Invite asked us to move forward with designing an application based on the information we had put forward during the discovery process. Allowing parents to tap into their existing network of friends to find a trusted babysitter allowed them to be more spontaneous without sacrificing quality child care, and babysitters were able to grow their network at the same time. The resulting design and user experience details provided to Sitter Invite received tremendous positive feedback from both sitters and parents who are eagerly awaiting the app to hit the App Store. The idea for Roster was a lightbulb moment for its founder who was struggling keeping up with his son’s baseball practice, games, rain delays, and changes. Roster came to us for direction on how to move forward. Being experts in the ‘how to get started’ phase of a software idea, we were a perfect fit. We started by conducting interviews with potential users of all types to get at the heart of needs, wants, and what wasn’t necessary. We put together a complete discovery package that detailed who the target audience was and the core purpose of the application. 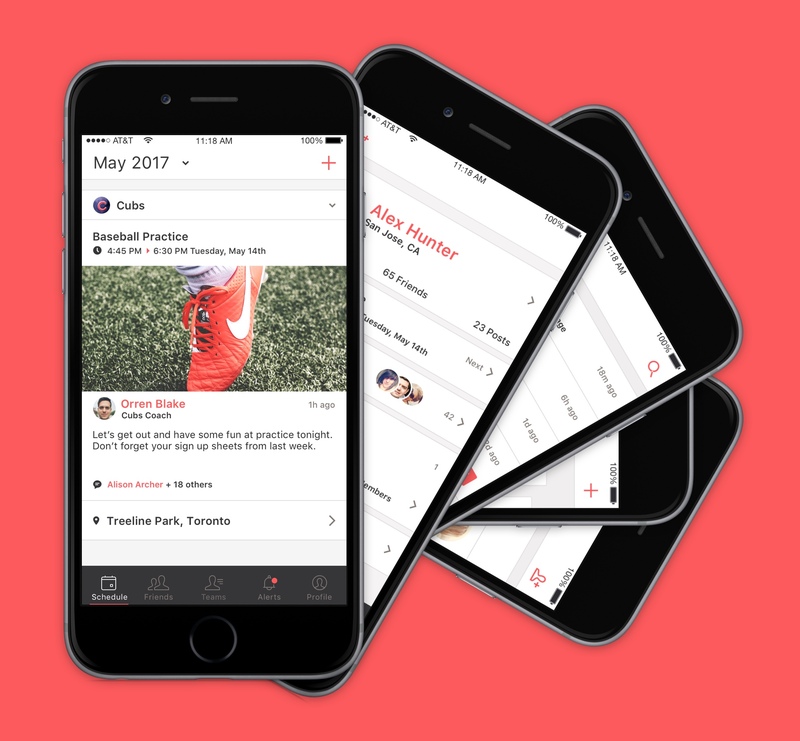 Basing the design on the information learned during the discovery process, we put forward a solid design that matched the goal of the app - to help sports teams communicate more effectively. The design for Roster was compelling and matched the variety of personalities, genders, and age groups that would be utilizing the application. The stakeholders at Roster were excited with the results and so were we.